The Department of Ethnic & Reconciliation Studies combines an understanding of culture, conflict resolution and biblical justice in its programs in ethnic and reconciliation studies to prepare graduates for missional ministry in global societies needing racial reconciliation, peace and stability, and the transformation of culture through the power of the gospel of Jesus Christ. Why Ethnic & Reconciliation Studies? The two fundamental questions any normal human being asks to get meaning for existence are: who am I and what am I. These two questions have been addressed and debated by theologians, anthropologists, philosophers, and historians, to mention a few. However, their analysis often begs for more question and explanation. Global societies are still searching for an answer to make meaning out of their meaningless cultural context which is often infected by racial conflict, dictatorial leadership, exploitation, poverty, diseases and hopelessness. 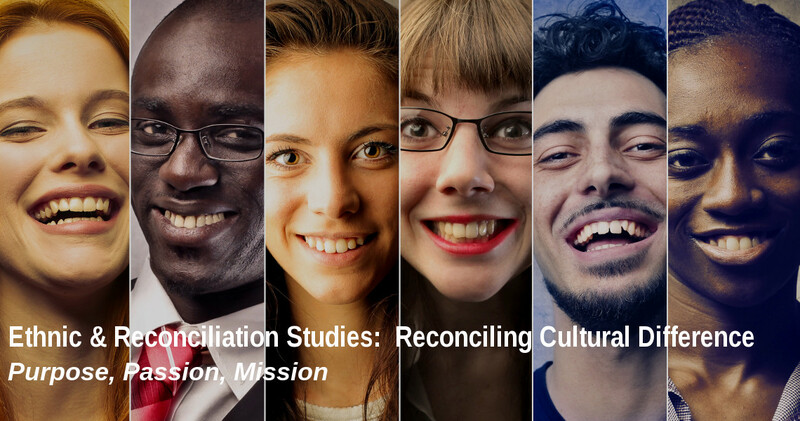 Both in the undergraduate and graduate level of studies, the Department of Ethnic & Reconciliation Studies provides courses to empower missional Christians to engage issues in cultural contexts across the globe. Personal, social and spiritual transformation comes through the power of a gospel-centered witness in both word and deed. Our ultimate hope is not to create Utopia on this earth. The lasting peaceful coexistence of different race and animals on this earth is when the kingdom of God is ushered with its full power and manifestation. The courses we provide enable you to embrace the values of the kingdom of God and live a meaningful and fruitful life between the now and the not yet. Since its inception, Christianity has been translatable. Whether the Scripture is communicated in Hebrew, Aramaic, Greek, English or various African, Asian or Latin American languages, the message of the prophets and the apostles retains its final authority and remains as the revelation of God. The Christ who was homeless, who was born and raised in colony, the Christ who tasted the bitter cup of injustice and was rejected and crucified, is the Christ who calls converts his brothers, sisters, and his family. He has found a home in cultures and societies where injustice, discrimination, and unrest interrupt the shalom of the invading presence of the kingdom of God. Since the birth of Jesus Christ, Christianity never has had a respite from the attack of the ENEMY. In Christian mission shame and glory, joy and suffering, crown and thorn, acceptance and rejection, inseparably go together. This Department analyzes the relevance of Christianity in light of racial conflict, dictatorial leadership, exploitation, poverty, diseases and hopelessness around the world. Since its first introduction to the world, Christianity has not been bound within a particular culture or society. It was unthinkable for the Jews to go to Samaria. Nevertheless, Jesus and the Christian mission did. The gospel is dynamic and pervasive. The Department of Ethnic & Reconciliation Studies explores how Christianity crosses tribal, social, racial, and socioeconomic boundaries and barriers to confront racism, religious bigotry and sociopolitical animosities. Through reading of the Bible in vernacular language, arts, hymns and songs, literature, etc. students begin to see the degree of contextualized gospel needed to confront indigenous societal issues. On the negative side, the pitfall of synchronism and its consequence on the integrity, authority, and power of the gospel in the lives of Christians facing ethnic, racial and religious conflict provides many lessons for missional Christians in the other parts of the world. The Department of Ethnic & Reconciliation Studies deals with societal, family, economic and human rights issues -- noting both the cultural differences and the propensity for inter-racial, inter-religious, inter-geopolitical conflict to occur. Courses explore the practicality of Christianity in addressing these issues. The experiential aspect in this Department is to know and love our neighbor, to encounter hatred with love, injustice with justice, oppression with liberation, and to expect the manifestation of God in every culture. 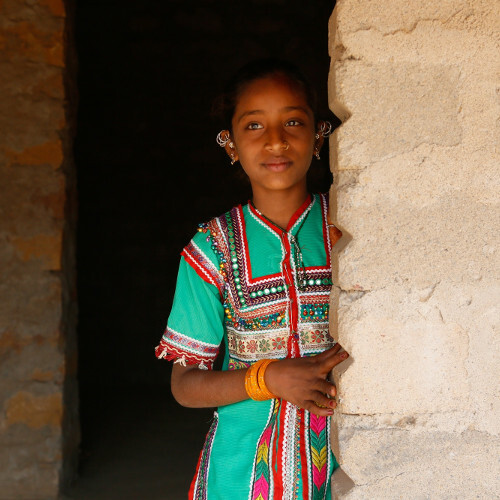 Christianity is best expressed and understood through the life of indigenous believers in the context of colonialism, apartheid, poverty, dictatorship, and diaspora. Students will be assigned to visit immigrant churches and to do field research to gain firsthand knowledge of the stories of God's grace in spiritual, racial, ethnic, and geopolitical reconciliation.